Danish motorcycle restorer, and builder, Lars Nielson found the decision to base his Gonzo Motorcycles land speed racer on the histroical“Type C”very simple. 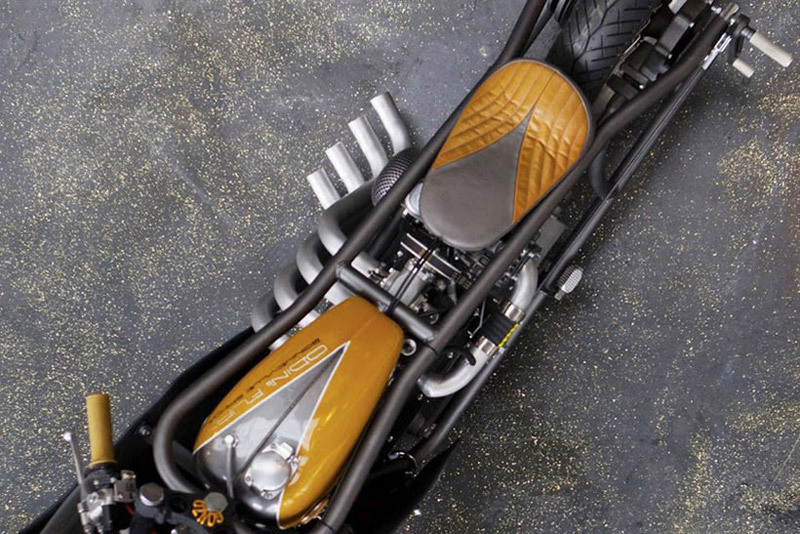 The project he created is named ‘Odin’s Fury’, and his goal was to compete in the 750CC, home-built-frame, partially-streamlined, vintage, blown category at the illustrious AMA speed week on Utah’s striking Bonneville salt flats. Despite the original bike’s mild performance, the Nimbus brand was part of his Although the Type-C featured many components that were ahead of their time they were never designed to withstand the stresses of land speed racing, so everything but the Nimbus engine and driveshaft was put aside. The build started with the design and fabrication of a whole new frame. The rear suspension was no longer a requirement so the frame was designed using a hard tailed configuration and constructed from sturdy 4mm seamless cold drawn hydraulic pipe. 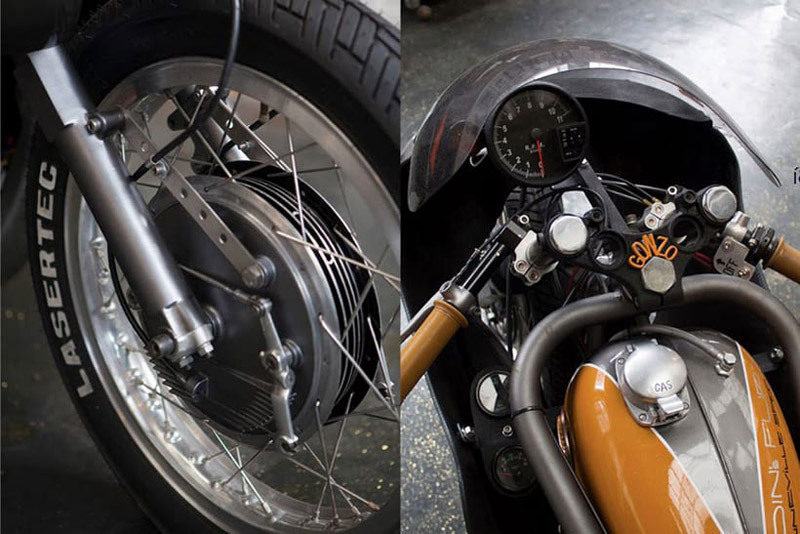 To manage the front end Lars fabricated a custom neck tube to fit a set of shortened Harley Davidson Sportster forks. 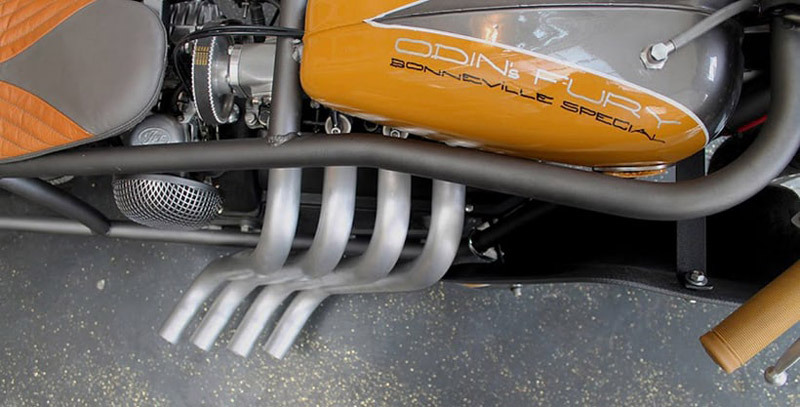 Odin’s Fury rolls on a set of Honda Goldwing wheels. The rear is laced to the original Nimbus shaft driven hub and there’s no rear brake since it would only add additional weight. The front is laced to a stunning looking double sided Grimeca drum hub that previously lived on Lars own BSA cafe racer. The stopping performance of the Grimeca may not be up to modern sports bike standard but it’s sufficient for slowing the bike over hundreds of meters and according to his theories may help to enhance straight line stability due to its mass. In land speed racing keeping weight down is an essential ingredient for success so a full cell big enough to complete a single run down the salt was all that was required. 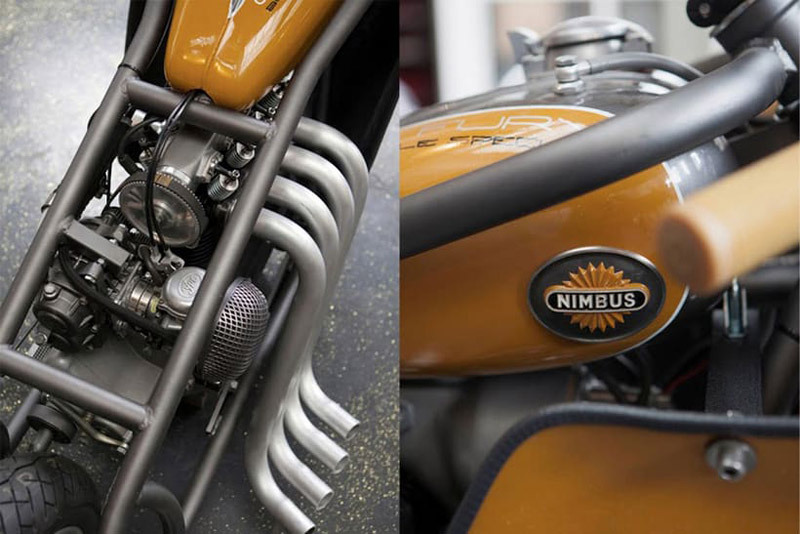 Sitting within the tubes of the frame where it is protected from impact is a small fuel tank that was repurposed from an unknown moped that wears customised Nimbus emblems. The small seat at the rear of the frame is custom made and the foot controls sit back at the rear wheel to position the pilot in an almost prone position. The bodywork on Odin’s Fury is another part of unknown original origin. What Lars does know though is that it was produced in the seventies to fit a motorcycle made by German manufacturer MZ Motorrad. The half fairing has been widened to fit over the custom made frame and a larger windscreen added for aerodynamics. Upgrading the Nimbus engine was, of course, the most important stage of the build. 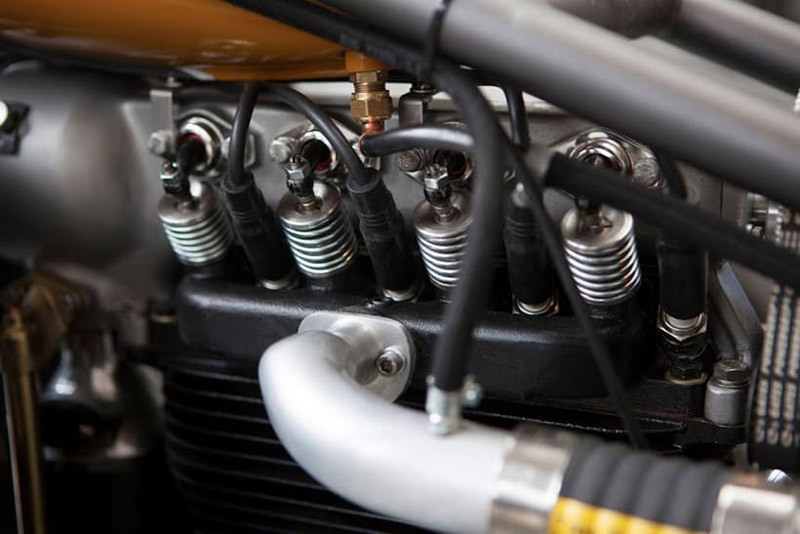 Thanks to the popularity of the Type-C and its prolific use by Denmark’s military many original engine parts can still be found so the engine was torn into its individual components, cleaned and rebuilt. New gaskets were made from scratch, fresh pistons installed and the crank suitably modified. To deliver the bikes racing fuel, a special methanol mix, Lars has fit a Harley Davidson CV carburettor. 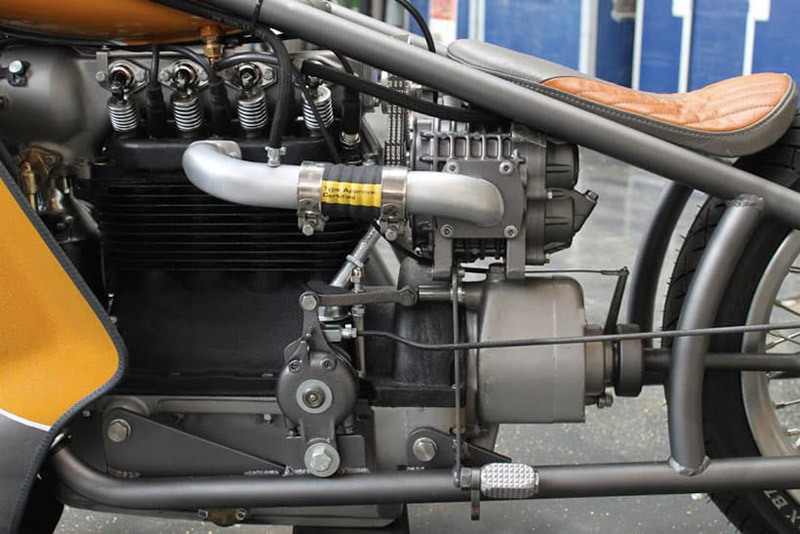 The carburettor sits beneath the seat and is connected to the engine via an ASIN supercharger. Retrofitted from a Subaru Vivo the supercharger is driven by a custom made camshaft extension and feeds fuel to the engine via a custom intake manifold. At the opposite end of the combustion cycle sits a snaking set of free flowing exhaust pipes that sound absolutely nothing like the buzzing of a bumblebee. All in all, Nielson has created a steampunked looking steed that any Norse God would be glad to ride into battle.